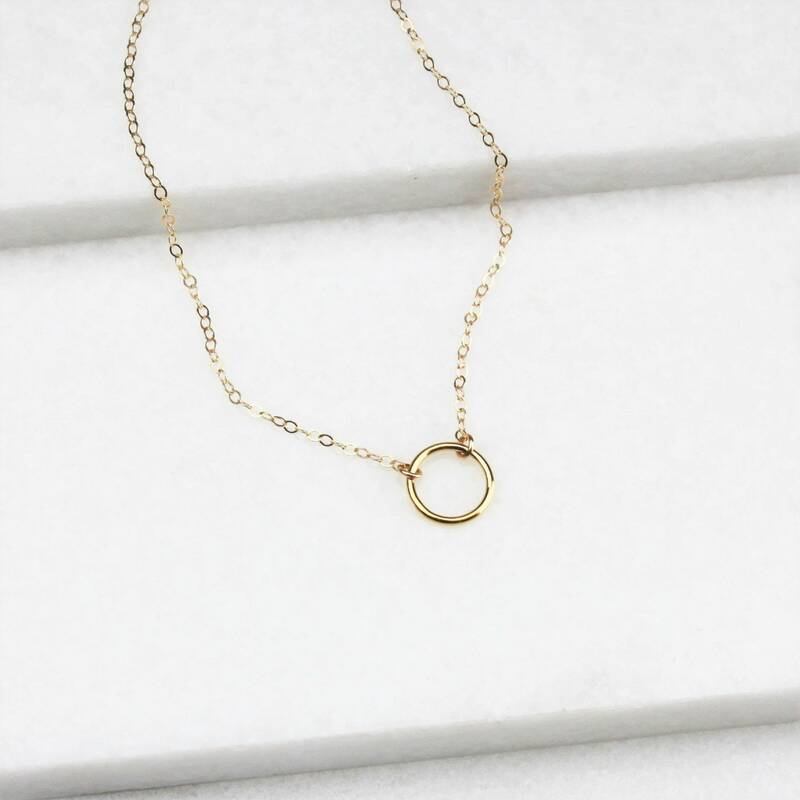 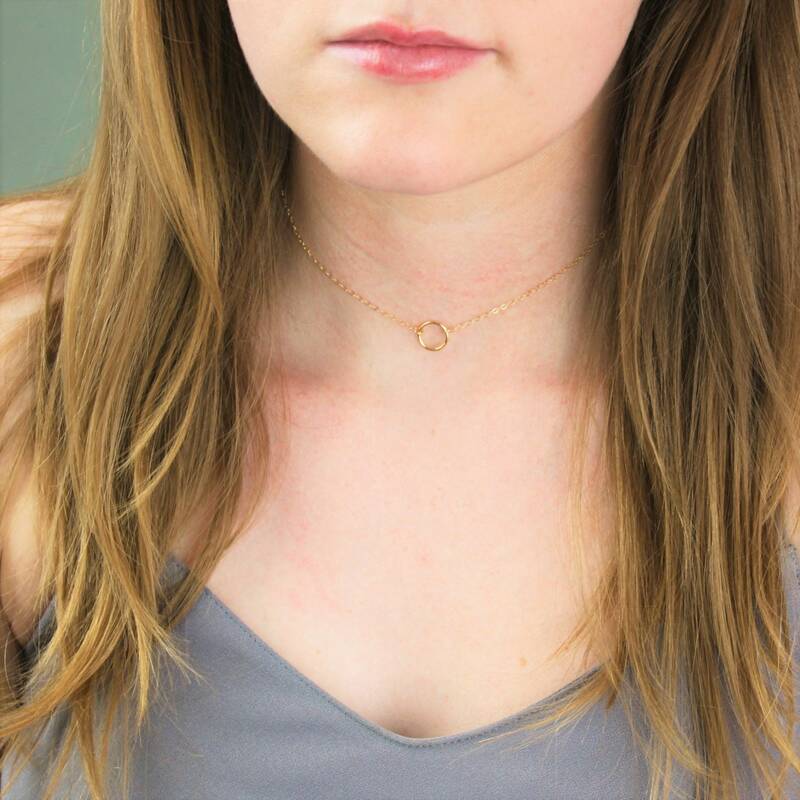 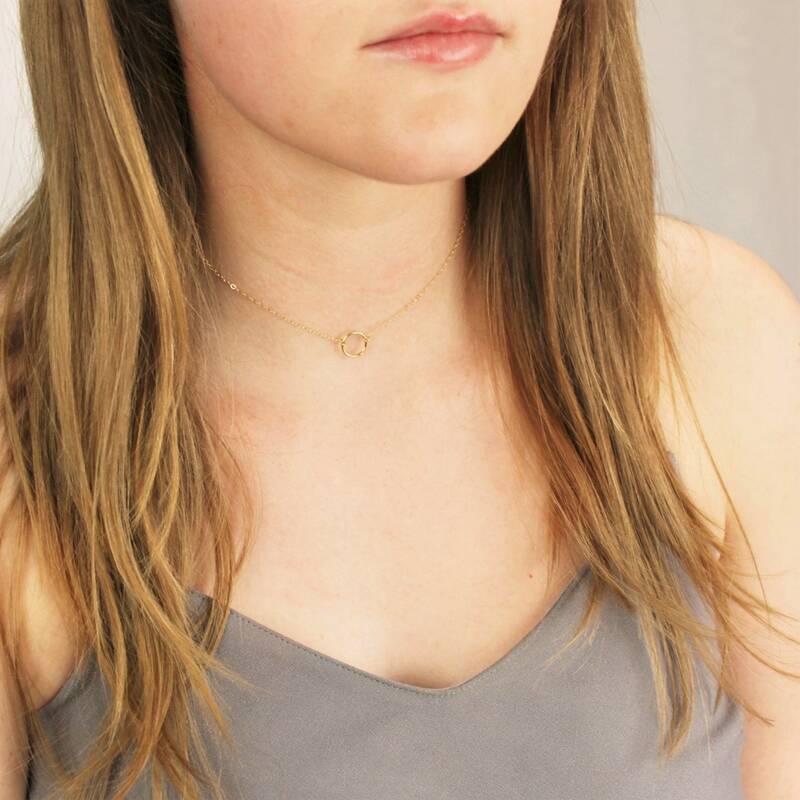 This mini eternity choker is edgy and chic, wear it in gold or silver. 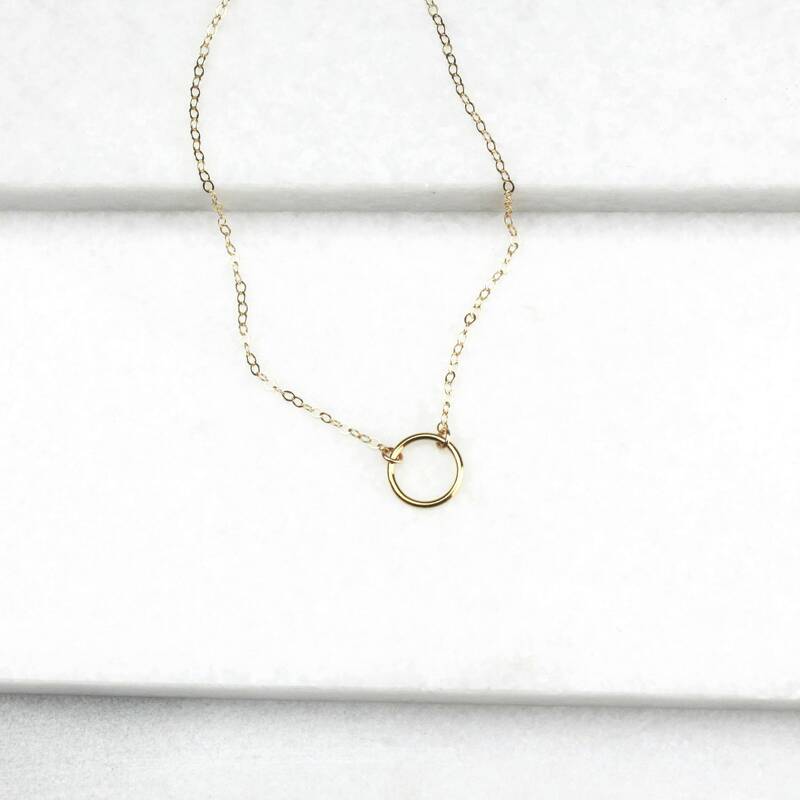 A reminder that some things do last forever! 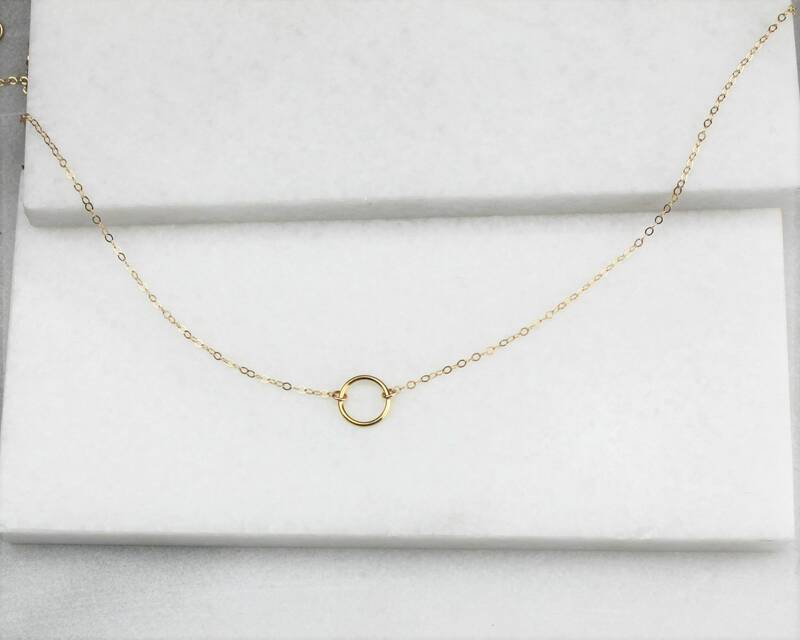 -14kt Gold-Filled or sterling silver chain & circle.